If you or your spouse stand to face financial difficulty after your divorce, a spousal support order could be part of your divorce settlement. All of your income and assets, including personal injury compensation, will be considered when determining an appropriate spousal support order. All other, intangible expenses the victim faced because of the injury. When the victim is the primary or sole provider for a household, he or she may recover compensation to cover how the household would suffer financially in the future from his or her reduced earning capacity. Marital funds were used to cover injury expenses, then the settlement compensated the couple for them. In a case like this, the compensation that replaced the spent marital funds may be divided. So if you are wondering how your alimony order fits into all of this information, here is how: when the court calculates an alimony order, it considers a variety of factors. These factors include both partners’ ages, current earning capacities, future earning capacities, health, and current and future financial needs. It may deem that because the injured spouse can no longer work, he or she is unable to make alimony payments. Or it may determine that the non-injured spouse cannot realistically support him- or herself, at least not immediately, and order alimony payments from at least part of the personal injury settlement. 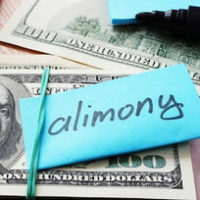 The court may require that alimony be paid in a lump sum payment, rather than increments, to avoid future difficulties surrounding the money. Alimony should not make it impossible for the injured spouse to cover his or her medical bills. But when the other spouse is facing financial hardship following their divorce, he or she has the right to seek alimony. To learn more about alimony from an experienced Orlando divorce lawyer, contact the Law Offices of Steve W. Marsee, P.A. to set up your initial consultation in our office.